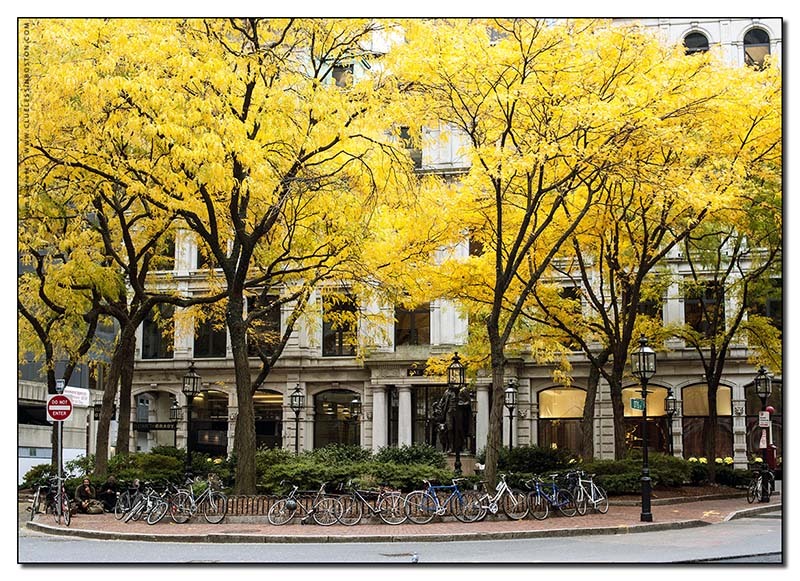 Gathering of bicycles (and messengers) under the trees at Winthrop Square. Even in the city the autumn foliage shines through. The clear yellow is like turning on a light. I could never tire of looking at those trees. Lovely, such bright yellow and great collection of bikes underneath! It's such a wonderful picture!Gorgeous trees! The autumn leaves tie-in the yellow awnings beautifully. I love this yellow! This scene is just beautiful. It really reminds me of Lille in France. You live in a beautiful city!